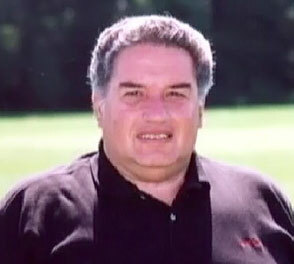 To memorialize Mickey Lione's legacy, a group of family and friends, led by Bobby Valentine, founded the Mickey Lione, Jr., Scholarship Fund for Youth Excellence. Bobby said, "Mickey Lione is one of the greatest coaches in Connecticut high school and amateur sports history. He never coached me, but he was always a big part of me. I played in a Little League named after his dad. There was no one I enjoyed talking baseball with more than him. He had such insight and experience. He had a presence, a special gift. It is a tribute to Coach Lione that in his 37 years of working with young people he earned the respect and admiration of those who competed against him, as well as those who played for him. I know the positive impact Mickey made on my life. The Mickey Lione, Jr., Fund for Youth Excellence is an effort to honor his memory by fostering in others the ideals he lived and taught, through his love of people, education, and coaching." Mickey played on three World Championship youth baseball teams for Stamford (1951, 1953, and 1954) as well as coaching two Senior Babe Ruth World Championship teams (1968 and 1971). During his 37-year coaching career, he touched thousands of lives. He went on to coach six Connecticut State Championship teams at Trinity Catholic High School in baseball and hockey, for an extraordinary record of 731 wins and 413 losses. At the same time, as an Assistant Football Coach at Trinity Catholic and later at New Canaan High School, he contributed to three Connecticut State Football Championships. 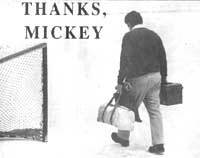 Mickey was a two-time recipient of the Connecticut Coach of the Year Award and was posthumously awarded the prestigious New York Metropolitan Area Frank McGuire Award by the Frank McGuire Foundation.